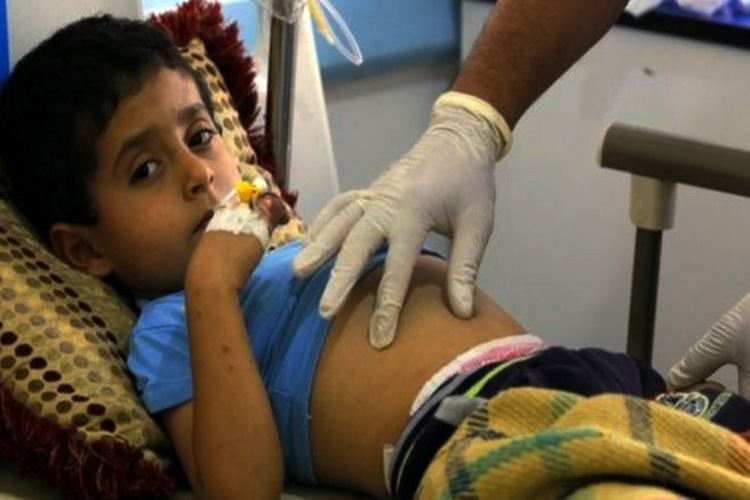 Suspected cases of meningitis continue to be reported from different governorates of Yemen since the beginning of the current year. During the month of April 2017, the number of suspected cases increased followed by a gradual decline in the following two months (May and June 2017). Cases were reported across 1,900 health facilities in the country, these sites function as sentinel reporting sites for the national electronic disease early warning system in the country. The highest number of suspected meningitis cases was reported from Amanat Al-Asimah governorate with 629 Cases (25.5%); other governorates reporting high number of cases include: Taiz with 355 cases (14.4%), Dhamar with 244 cases (9.9%), Ibb with 214 cases (8.7%), Al Hodeida with 166 cases(6.7%) and Aden with 141 cases(5.7%). These governorates reported such high number of cases because they host the main referral hospitals that serve as sentinel sites for the national bacterial meningitis surveillance programme in Yemen. A total of 1,006 cerebrospinal fluid samples were collected, from 01 January to 20 August 2017, from 10 sentinel sites of national bacterial meningitis surveillance programme spread across the country. Of these samples, only 5 samples have tested positive for Streptococcus Pneumoniae; 2 for Neisseria Meningitidis W135; and 11 samples were positive for other bacteria. Almost 80%of the CSF samples yielded no result.